In a straining and emotional time, you deserve to have a legal advocate on your side whom you can trust to protect your best interests. 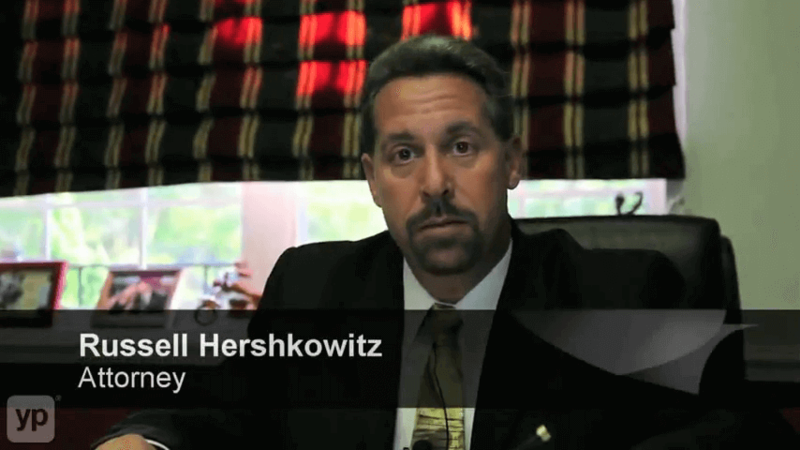 At the Law Office of Russell S. Hershkowitz, LLC, we can help you resolve your legal challenges in family law, positioning you to successfully deal with the emotional and financial issues you face. As we also offer bankruptcy services, we are well-prepared to help you deal with any debt troubles that might be complicating your divorce. Whatever it takes to protect you and your loved one’s well-being, from establishing paternity and visitation rights to crafting solutions for complex divorce and alimony matters, we are here to provide the skilled advocacy you need. Get proven legal representation on your side. Our Altamonte Springs family lawyer is ready to advocate for your rights and your future. Call (407) 753-4111 or use our online form to request your free consultation. We’re ready to listen to you and to discuss your legal options. What Sets Our Lawyer Apart? At our Altamonte Springs family law firm, our attorney brings decades of extensive experience to each case. He is armed with the insight to battle for the results our clients need, whether that means skillfully negotiating an uncontested divorce settlement or litigating a relocation case to protect your children’s interests. His legal practice also spans matters of debt relief, from helping clients protect their assets to helping them eliminate their debts. We offer the comprehensive solutions you need to move forward in life with confidence.